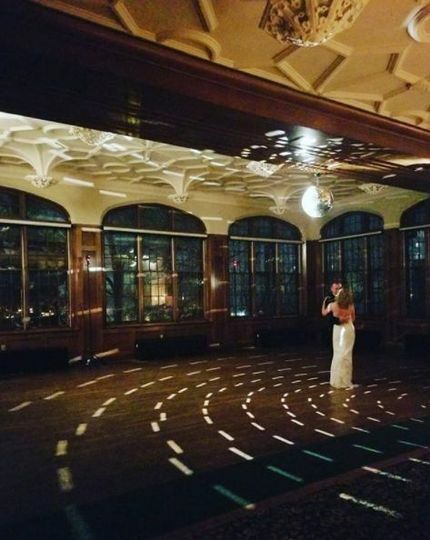 I am so incredibly happy that we held our wedding at the University Club. I feel like it is Minneapolis/St. 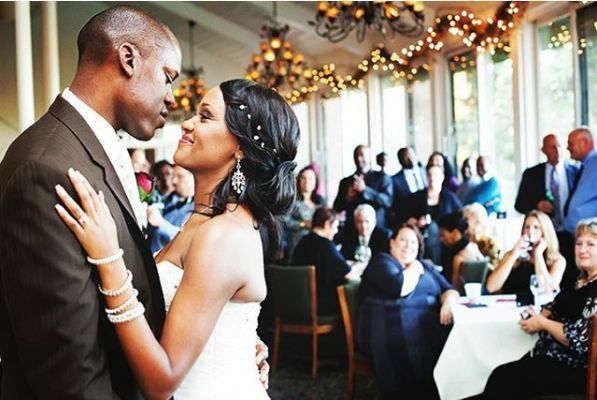 Paul’s best-kept-wedding venue-secret. 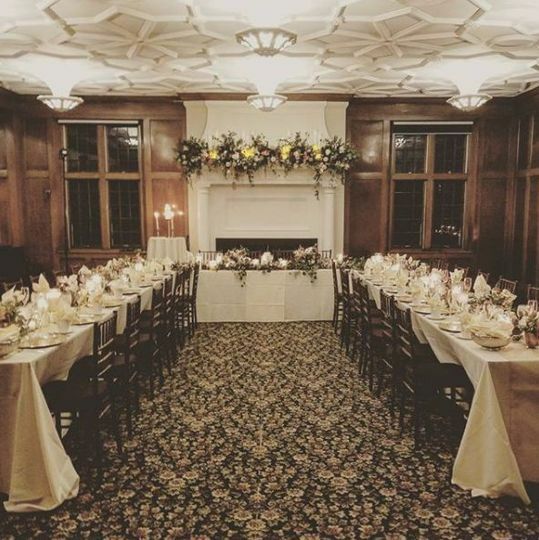 We held our wedding ceremony and reception at the University Club of St. Paul on September 15, 2018 and LOVED everything about the day! 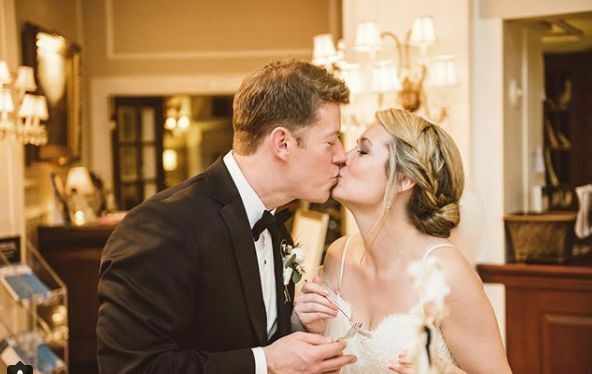 From the very first email to Julia back in January, to writing this review two weeks after our wedding, working with the University Club has been nothing short of amazing. The location is wonderful. 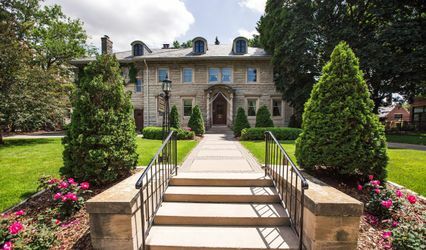 Tucked away along Summit Avenue in the heart Crocus Hill near downtown St. Paul and near the Cathedral, the Club has a timeless charm. The space itself is gorgeous – elegant without being stuffy, with ivy climbing the walls, a beautiful chandelier in the entrance, windows letting light pour in and a cozy fireplace as a focal point. 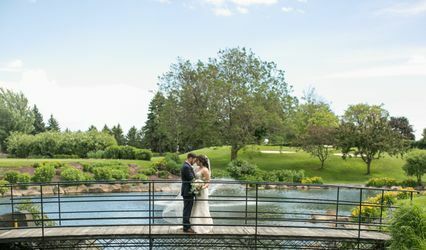 We got married in the Summit Room in front of the fireplace that we decorated with candles and flowers, held our cocktail hour in the adjoining Terrace Room and our dinner and dance back in the Summit Room. The day of service was wonderful and everyone was so kind, attentive and professional. I am convinced there is no one better in the business than Julia Struve. She was very responsive, extremely organized and super personable and funny. I once emailed her with about 10 questions and she answered them all within an hour. When she and my day-of-coordinator met, I just sat there and they figured everything out! She is on top of everything, which you need when planning a wedding. And the food was AMAZING. 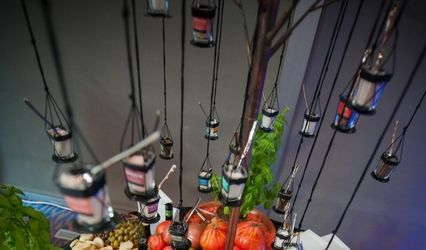 I had many guests tell me it was the best wedding food they’ve ever had. 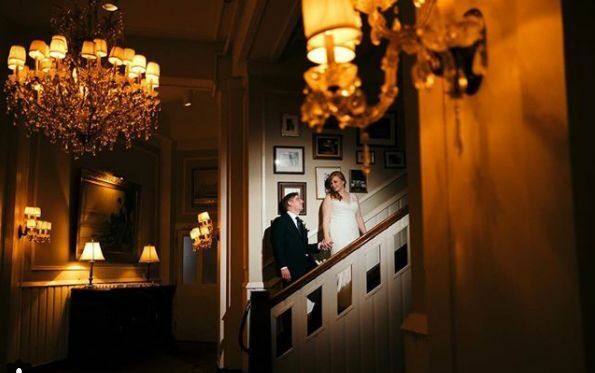 Our photographer took all of our pictures there and he said The University Club is his new favorite place with its crazy beautiful venue and dream lighting. Wonderful location, amazing service, incredible food - I recommend the University Club without reservation and if I could give it 10 stars, I would! Following our daughter’s out-of-town wedding, we scheduled a Sunday brunch at the University Club St. Paul to introduce the recently-married couple to our many friends who had not been able to attend the wedding. 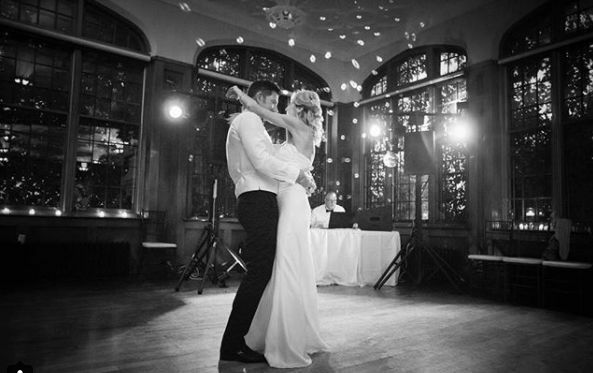 We had previously attended a wedding reception at the Club and had been very impressed. Our entire experience was excellent. 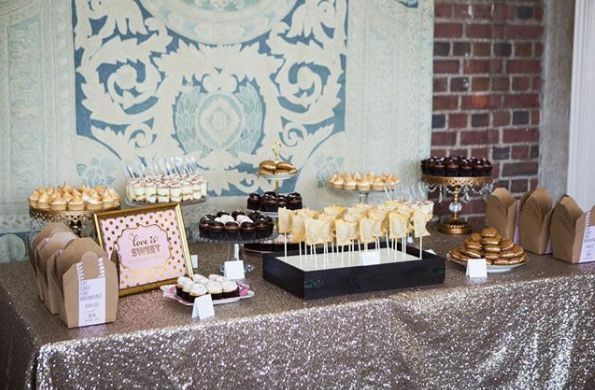 It is a beautiful venue, with many windows, a lot of sunlight, a large banquet room and a connected area excellent for serving drinks. The food, served buffet style, was remarkably good. Many guests commented on how delicious it was. The Club was very flexible and supportive as to some dietary needs. The service during the meal was very professional – very available and responsive without being intrusive. The servers were friendly and upbeat. The planning process was equally remarkable. 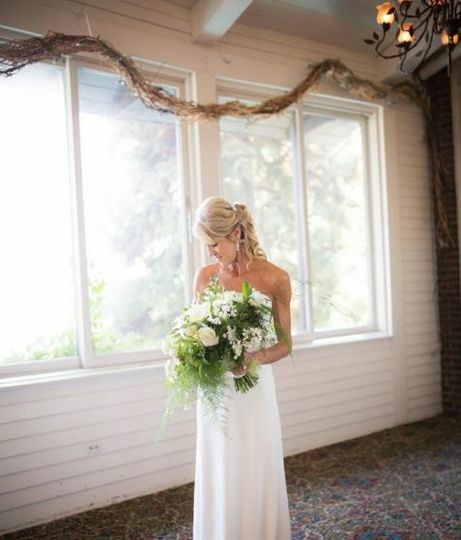 We worked primarily with Ms. Julia Struve, who was knowledgeable, helpful, very responsive, and graciously flexible when the attendance count dropped slightly a few days before the event. It being winter, we had the Club arrange a valet service, and that service also performed well. We recommend the University Club very highly. Incredible! Best wedding & reception venue ever! The venue was absolutely gorgeous, the food was wonderful, and the dance floor and bar spaces were perfect for a crowd that likes to dance and drink, but perhaps most importantly, the SPAC team was unbelievable. I actually cannot say enough wonderful things about David, Julia, Nicole, and the rest of their staff. Throughout the entire process – from our first tour of the venue to paying the final bill, they were incredibly responsive, accommodating, genuinely caring, and just outstanding overall. I never waited more than 12 hours for a response to any question, they were super helpful with ideas and tips and always made sure we weren’t forgetting anything (I had no idea what I was doing), and they always went out of their way to make sure their answer was “yes” to anything we asked for. The day of, everything was seamless, and they did cute little things to make the day even more perfect and special for my husband and I. The day was more perfect than I could ever have imagined, and I could not have been happier with our experience with SPAC. If you don’t believe me, reach out to David or Julia – I guarantee within a few minutes of talking to them you’ll see why I loved working with them!